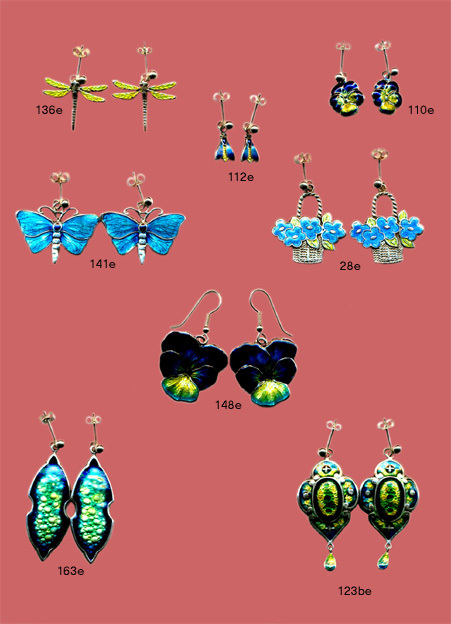 All the items of jewellery are approximately the actual size (depending on your monitor settings). All jewellery is made of sterling silver and is finely cast to an extremely high standard from the original. All enamelling is individually hand-done. 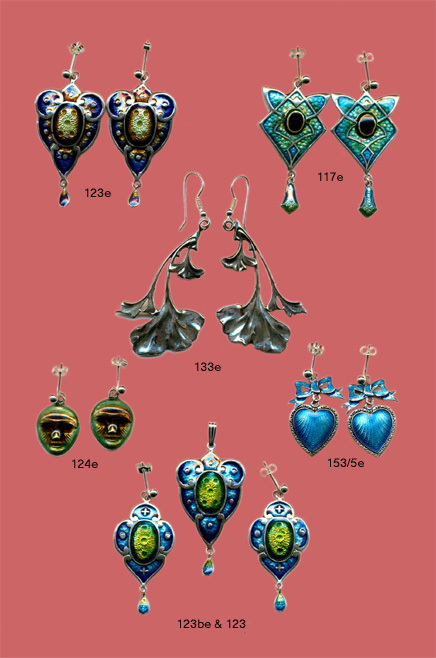 As a set (pendant & earrings) Nos117 & 117e,141e &142,148e &148,163e & 163b,136e & 136b,153/5e& 153/5.Also 133e with 133f,133b,133c or133d.Please e-mail for prices.